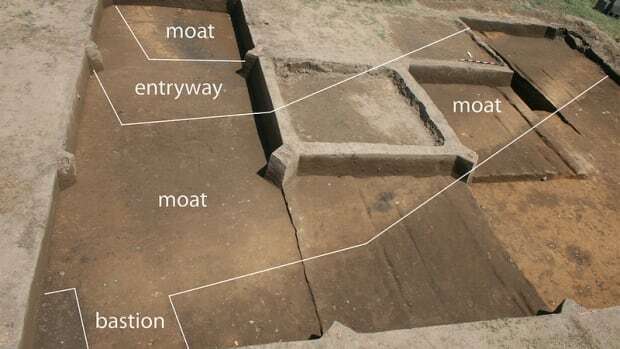 For nearly 20 years in the 17th century, Sweden had a little-known colony that spanned parts of Delaware, Pennsylvania and New Jersey. Most Americans are familiar with France, Spain, Holland and England’s colonial history in the United States, but lesser-known is New Sweden, a Swedish holding that once spanned parts of Delaware, Pennsylvania and New Jersey. 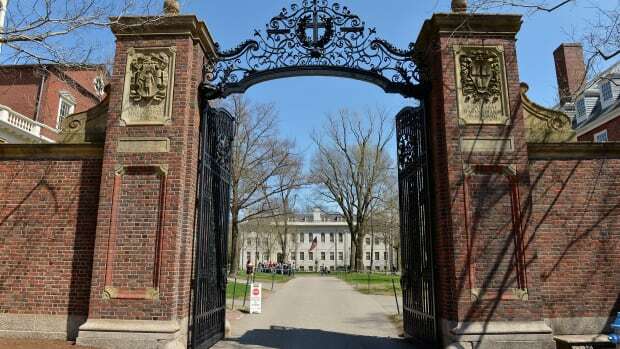 The upstart settlement dates to the early 17th century, when the great powers of Europe were all scrambling to plant their flags in North America. In the midst of this frenzy of colonization, the Kingdom of Sweden looked to carve out a piece of the New World for itself. The result was one of the most peculiar overseas ventures of the Age of Discovery. The colony never boasted more than a few hundred residents at any given time, and it only lasted for some 17 years before being conquered by the Dutch. Yet despite being a mere footnote to American colonization, New Sweden’s settlers made several contributions to history. 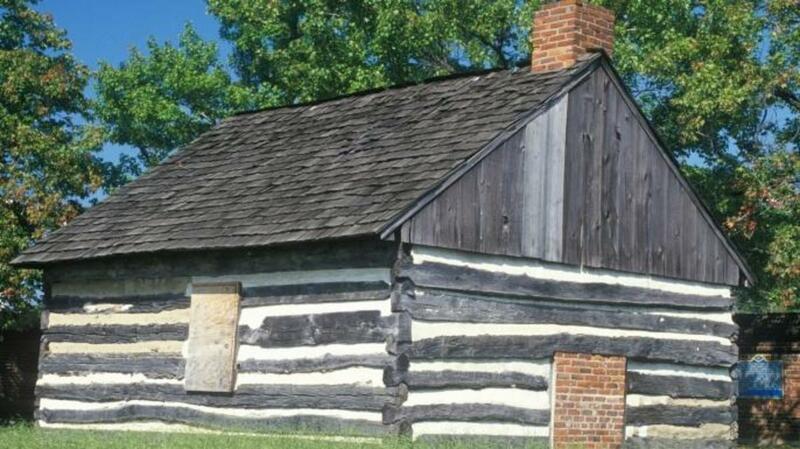 Along with bringing Lutheran Christianity to the New World, they were also responsible for introducing that most iconic of early American buildings: the log cabin. Plans for Sweden’s overseas territory first took shape in the 1630s, when a commercial outfit called the New Sweden Company was formed to exploit the tobacco and fur trade in North America. 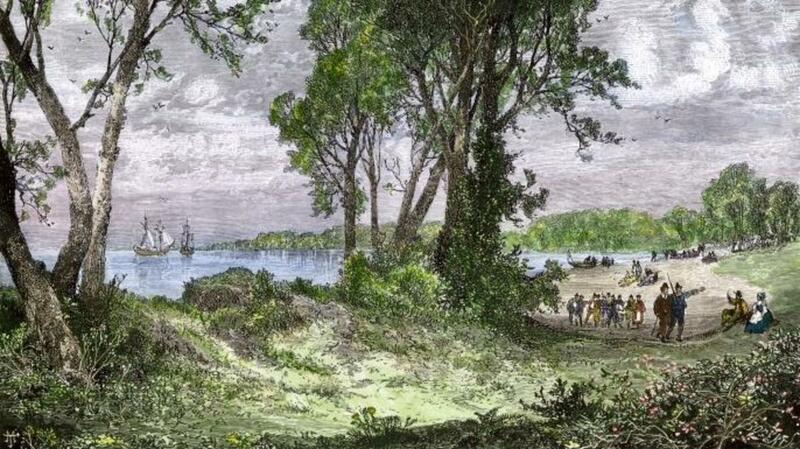 The task of leading its first expedition fell to Peter Minuit, a Dutch explorer who had previously won fame for purchasing the island of Manhattan for the Dutch West India Company. With Minuit at the helm, the ships Kalmar Nyckel and Fogel Grip set sail from Sweden in late 1637 with some 25 would-be colonists. 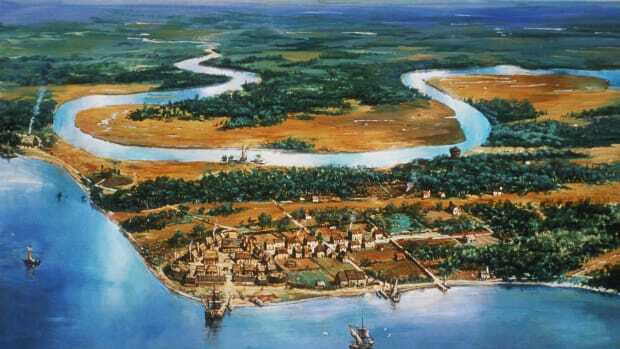 By March 1638, the vessels had traveled up the Delaware River and dropped anchor near modern-day Wilmington, Delaware. As one of his first orders of business, Minuit gathered leaders of the local Lenape and Susquehannock Indian tribes and arranged to purchase a swath of territory that now comprises parts of Delaware, Pennsylvania and New Jersey. Minuit took great care in selecting the location of Sweden’s first settlement in North America. Not only was it built in prime territory for trading with the natives, it was also situated in an area not yet occupied by other Europeans. When the fort was completed, the colonists hoisted the Swedish flag, fired celebratory cannon shots and christened it Fort Christina after the adolescent Queen of Sweden. The Dutch still considered the Delaware River Valley their territory, however, and it wasn’t long before a messenger arrived from the nearby New Netherland colony with a letter warning of the “mishaps, bloodsheds and disturbances” the Swedes were risking by encroaching on their turf. Minuit ignored the letter—he knew the Dutch didn’t have enough troops to run him off—but it set the stage for a territorial dispute that would loom over most of New Sweden’s history. The New Sweden settlers began a peaceful trade with nearby Indian tribes, but they suffered a significant setback in August 1638, when Peter Minuit died in a Caribbean hurricane while trying to sail back to Sweden. His colony soldiered on for the next couple years, surviving on corn and other goods bought from the Indians and the nearby British and Dutch. Nevertheless, it remained little more than a far-flung outpost until 1643, when a formidable Swedish military officer named Johan Printz took over as governor. A giant bear of a man—his 400-pound frame earned him the nickname “Big Belly” from the Indians—Printz was also a shrewd leader who was determined to extend the reach of his colony. Shortly after his arrival, the Swedes reinforced Fort Christina and established Fort Elfsborg and Fort New Gothenburg, two additional bastions on the Delaware River. 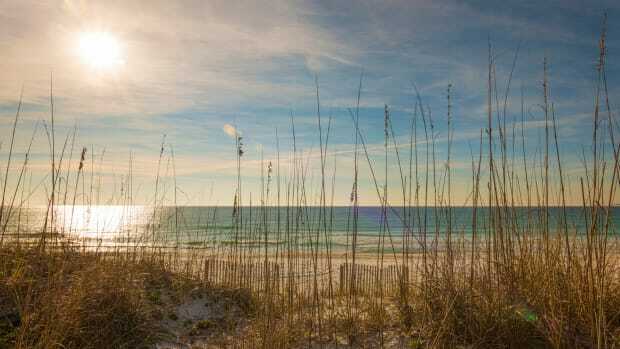 They also increased their trade with the Indians and began growing food and tobacco crops on plantations. The vast majority of New Sweden’s settlers were natives of Sweden and Finland, and they introduced Lutheran Christianity and several Scandinavian customs to the New World. Perhaps most influential was their habit of building log cabins, which later became a fixture of North American architecture. Johan Printz built a two-story log dwelling known as “Printzhof” near Philadelphia, but most of the colonists’ cabins were more humble affairs. One example located in Gibbstown, New Jersey, dates to as early as 1638 and is considered the oldest surviving log cabin in the United States. Despite Printz’s early improvements, the New Sweden colony never became as prosperous as its Dutch and English competitors to the north and south. Part of the problem was a near-constant lack of manpower and government support. The colony’s population was often less than 200, and interest in immigrating was almost nonexistent back in Sweden. Settlers were so hard to come by that the Swedish crown eventually resorted to forcing petty criminals and military deserters to serve, but the colony was still largely neglected. The colony’s troubles only mounted in 1647, when a headstrong Dutchman named Peter Stuyvesant took over as director-general of the neighboring settlement of New Netherland. Under his rule, the Dutch took a more hard-nosed approach to the Swedish interlopers by restricting New Sweden’s access to the Delaware River and squeezing it out of the fur trade. In 1651, meanwhile, the Dutch built a stronghold called Fort Casimir only a few miles away from Fort Christina. Even as the Dutch applied pressure from the outside, New Sweden also suffered from internal turmoil. Colonists were deserting the settlement in droves, and many others had grown dissatisfied with Printz’s iron-fisted rule. 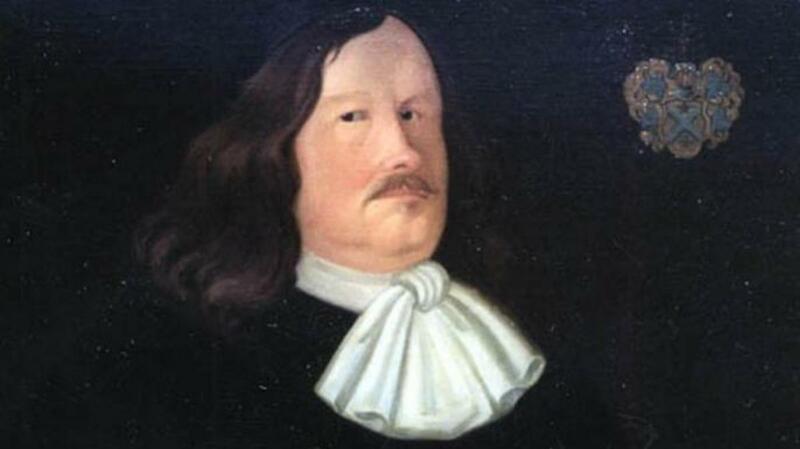 Having served for a decade, the hulking governor finally stepped down in 1653 and returned to Sweden. His replacement, Johan Rising, arrived the following year along with several hundred new colonists. Rising had orders to avoid “danger and hostility” with the Dutch, yet shortly after his arrival, he seized Stuyvesant’s Fort Casimir, which the Swedes renamed Fort Trinity. The ill-advised attack proved to be New Sweden’s undoing. Just a year later in August of 1655, Stuyvesant retaliated by sailing seven ships and several hundred troops up the Delaware. 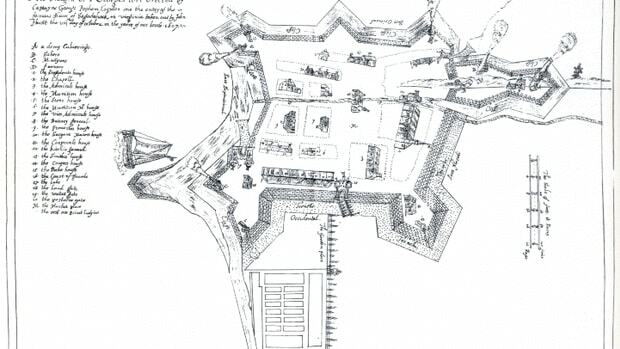 In short order, his superior Dutch force recaptured Fort Trinity and secured the surrender of Fort Christina and several other Swedish holdings on the river. Having survived for some 17 years, New Sweden ceased to exist as an independent settlement. Sweden never again had an American colony after 1655, but its short-lived enterprise left a mark on the Delaware River Valley. Many Swedes and Finns continued to live in the area after the Dutch annexation, and they remained a major demographic force up until the English took over and set up the Pennsylvania colony in the 1680s. Even as late as the 1750s, visitors reported that the Swedish language was still being spoken in the region. 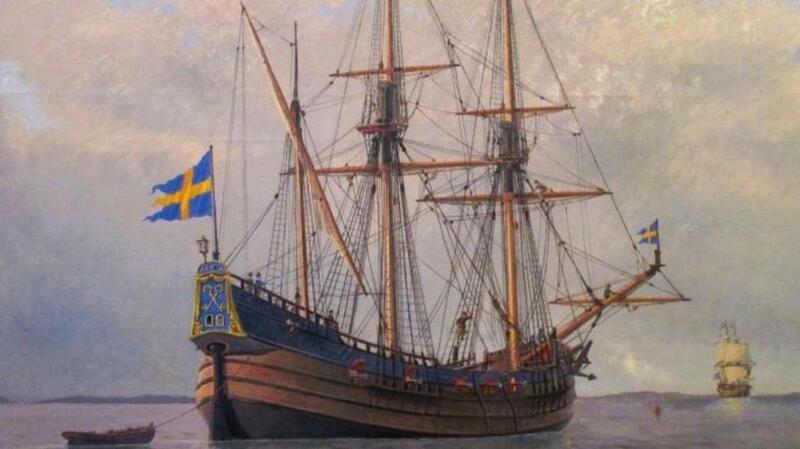 Despite its failure, New Sweden would prove to be only the first chapter in the history of the Swedes in North America. While Scandinavian immigration to the colonies slowed to a trickle during the 1700s, it surged again during the late 19th and early 20th centuries, when some 1.3 million Swedes relocated to the United States. SIGN UP FOR MORE HISTORY! Twice a week we compile our most fascinating features and deliver them straight to you. 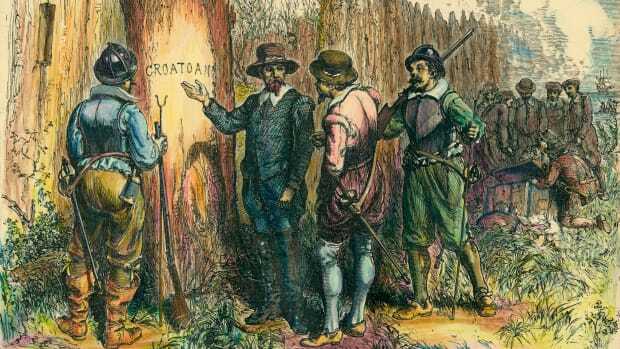 What happened to the “Lost Colony” of Roanoke?